The new games room offered me the chance to have something I’ve not had before – a display cabinet for figures. It arrived yesterday, about a week earlier than I was quoted. When a priority bit of DIY like this needs to be done, it goes straight to the top of the list. As a result it’s now on the wall and full of figures! It’s about 150 x 60cm, product name Alsino V16, from a big range of similar cabinets. Many come with pre-cut grooves for model trains, which naturally I avoided. I thought I’d fit more figures in but at least it’s made a significant dent in the pile of boxes. Very pleased! Author World2DavePosted on 23rd June 2017 28th July 2017 Categories Purchases, Scenery etcTags 19th Century 28mm, Colonial4 Comments on Junk! I have plans for lots of Sharp Practice games set in the post-Napoleonic period, with Medetia and Fleurie again going at each other, and I fancy having the option for some riverine and amphibious actions. Now that the river bank sections are done, which can also serve as coastline or lake shores, I need a few boats for the men to use to get themselves into all sorts of trouble dealing with currents, contrary winds and the like. I have scratch-built one in the past as a test piece, and was reasonably happy with it. However, boat building is time-consuming and I decided I’d rather see what was on offer to buy. So far I have liked the look of the Small Row Boat that Ainsty produce, and also fancy two that are available from Games of War. I decided to order a sample of each, and the Games of War ones have arrived first (very speedy service). These are the Jolly Boat and Tender from their pirate equipment range, and lovely models they are too. 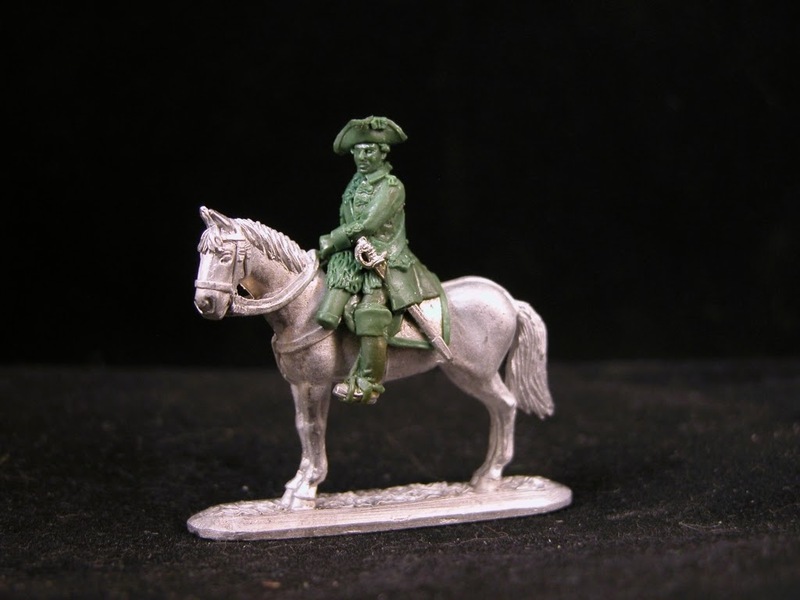 They are very detailed and produced in a very light resin-type material, to a high quality. I’m very pleased with them and may order a few more. The added bonus is their price: £5 each, with free postage. The £2.80 postage the package was marked with therefore brings these excellent models down to the equivalent of £3.60 each. That’s a bargain in my book. Each will hokd about half a dozen 28mm figures on 1 inch bases (such as those below), or a couple more of the 19mm round bases I use for my 19th century forces. That’s fine for my purposes and will pretty much allow a Sharp Practice ‘group’ of about 8-10 figures to be carried in each boat. Handy. Once the Ainsty order arrives I’ll post a picture of their boat, and the other related item I bought.. It must be 10 years or more since my only previous visit to the Triples show, but yesterday the weather was fantastic enough to demand a drive in the countryside to Sheffield, only 45 minutes away for me. As a show, it was OK, much as any other I guess. I arrived in the afternoon and it was fairly quiet although there did still seem to be quite a few people around. The lighting was better than that at Salute (not saying much) but not great. Still, I was able to see what I wanted to see and the lack of crowds made it that bit easier. Two priorities for me to see were Bruce Weigle’s St Quentin FPW game in 6mm and The Ilkely Lads’ Zorndorf. Both were superb and worth the trip alone. The scenery and sense of accuracy/reality of the St Quentin table were among the best I’ve seen, and it was nice to see some Heroics & Ros figures in use rather than the inevitable Baccus you tend to see these days. The battle had been played through earlier in the day so all was quiet by the time I was there. There was to be a re-play on Sunday. I specifically sought out James Roach (Olicanalad) at the Zorndorf game as he’d recently painted a commission for me (the Saxon Rutowski Dragoons posted previously) and I hadn’t met him before to say hello. James was very welcoming and we chatted for a few minutes before confirming some further commissions that he’s going to fit into his busy schedule. The game itself was very impressive and it was great to see close up the large table covered in James’ work. The cavalry especially, and the hussars in particular, were awesome, as were all the hand-painted flags. Definitely eye candy! Shopping wise I did pretty well. Some bargain old Ospreys (The Black Watch, Sudan armies and Ottoman armies), a handful of paints and some brushes, as well as a few figures – not something I generally buy at shows actually. I picked up a couple of packs of Perry’s from Dave Thomas, and a pack of Copplestone 15mm fantasy (bears and shape changers) for something completely different. Best of all was a good chat with Graham at Crann Tara (and Bob who was there at the same time), who in between discussion on future release plans, future games and flag commissions, did me a very generous deal on some superb Royal Ecossais who will be accompanying my Legion de Fleurie when they are done. Graham is a real enthusiast for the hobby and always a pleasure to spend time with. His corner of one of the halls was fairly warm, so he would definitely have earned the beer he was promising himself when he got back to his hotel! A good trip out then, a bit of spending, and some familiar faces. .. well, be carried more like. As my figures almost always fight at home I’ve not had much need to prepare proper transport facilities for them. However, with the increased size of the force I’m taking to Ayton this year I needed something a bit better than just the usual boxfiles, bubblewrap and prayer – especially for individually based figures which will be vulnerable to falling over if not packed properly. Advice from other gamers (in particular Goat Major) led me to KR Multicases, who have a vast range of storage and transport packaging for wargame armies. Their stand at Salute was suitably grand but it was a bit crowded so I didn’t queue up for advice (also, I had no intention of buying anything there as I’d have had to lug it around for the rest of the day). I did pick up a catalogue though and had a good look at the options before ringing the company last week. I spoke to a very helpful young lady who talked me through the different options and helped me come up with a useful mix of foam trays, all fitting inside a single touch cardboard case. Everything arrived a few days later and I’m very pleased with the quality and practicality of the KR stuff. I’ve gone for half-sized trays, in 2 different compartment sizes. This gives me plenty of flexibility for skirmishers, artillery crew, artillery pieces, scenery, dice and even cavalry. I easily managed to fill all the trays, which makes me think I might need to buy another case before too long! All in all I’m impressed with KR’s products and service, and I think £25 is decent for something like this that’s going to last a long time. Here’s a quick pic of some of the packed trays in situ. As well as my self-indulgent Minden order, I was also very fortunate in having a generous and thoughtful family which furnished me with some great hobby-related presents. First up, new and old books from my wife and mother in law respectively. The new ones add to my collections of the Wargaming in History and Wargamers’ Annual series respectively and both look like excellent editions. The Great Regiments book seems to have been printed the year I was born (so it’s a vintage publication obviously!) and contains an interesting mix of armies, units, battle histories and uniform information. Together these will keep me going for a while! Then there is my academic artist sister who has come to my rescue as I could never find any Gesso when I’ve visited art supply shops. Now I can finally get to try it as an undercoating medium. Thanks sis! Finally, there is my sister’s clearly bonkers partner, who decided he’d found the perfect present for someone into toy soldiers. Now, I know someone into 54mm WW2 and that’s pretty big stuff, but I’m thinking I’d quite like to see a game using a bunch of these! Well, a present to myself anyway! I was very pleased to get a knock on the door on Christmas Eve, and open it to find the postman with a substantial parcel from the States. This was my Minden Miniatures order that Jim Purky kindly despatched very quickly, and which was very well packed, so that everything arrived in perfect order and sooner than I had expected. Jim’s generous offer to provide worldwide shipping for only $10 in the post-Minden takeover period was even more appreciated when I saw what the postage actually cost him. Thanks Jim! Now I’m back from a very pleasant few days with family I have been able to look over the figures properly and, as with everything else I’ve had from this range, they are all superb. The high command packs are particularly good, although it’s the additional gunners for my artillery and battalion guns that I’ll be getting on with first. I did some rationalisation of my hobby storage at the end of the summer, and made some decent progress in the face of the challenge of new stuff regularly being added. Getting into 28mm in the last couple of years has brought with it a serious volume problem in terms of storing the figures and scenery. So, a decent amount of stuff got thrown out or moved to the garage, and drawer and cupboard space was rationalised to provide me with some room to expand into again. The next issue will be the new terrain boards I’m planning and although they’re only 1 foot square they will soon eat up space. This made my remaining task to equip the games room’s wall cupboard with more capacity, which would be courtesy of an IKEA bookcase from the good old Billy range. Naturally this resulted in a delay to the project as a trip to the massive human processing plant that is an IKEA store wasn’t something I was looking forward to! This Sunday just gone was the day however. Despite not having darkened their door in the best part of a decade it was everything I expected, but we actually did quite well and dashed round averting our eyes from the endless stuff-you-don’t-need-but-might-as-well-buy-now-you’re-here on display. Once we’d escaped from the carpark of eternal despair and made it home, I cracked on and assembled the unit (which I admit was a very simple process due to the quality of the design and components), which is 40cm wide and 2m tall. It fits in sideways alongside the wider unit of the same style I already have in there and after an hour of shifting everything out, and then back in, I have my new terrain storage in place and less unwanted stuff in the rest of the games room, sorry – office.